Julie counsels individuals, families, business owners and financial institutions on estate planning, wealth transfer and tax matters. She assists clients in developing and implementing their estate plans to address important issues relating to estate and gift tax, wealth transfer and asset protection. 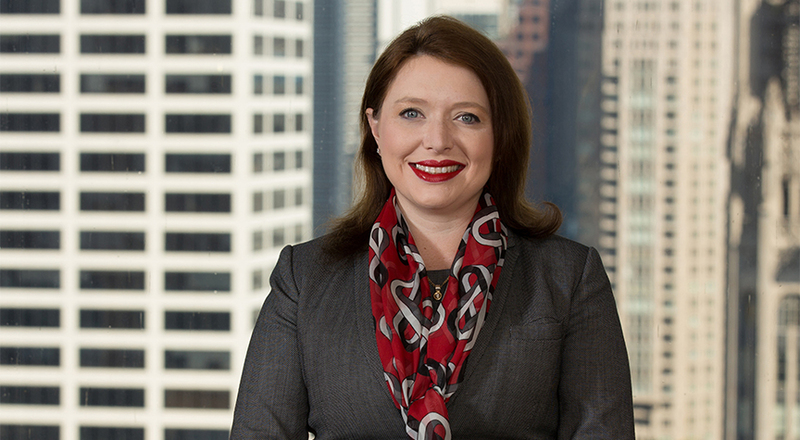 She also counsels clients on the U.S. tax consequences impacting assets owned by non-U.S. citizens and advises entrepreneurs, tax-exempt organizations, fiduciaries and high net worth families on vehicles to minimize their international assets from U.S. income, gift and estate taxes. Julie takes an integrated approach, blending extensive knowledge of tax law and work with tax treaties, to provide unique capabilities for handling trust distributions, the tax intricacies of foreign situs property, and related international tax planning issues. Julie also has significant experience with estate and trust administration, post-mortem planning and tax return preparation, charitable and retirement planning and estate and trust litigation. Prior to entering the legal field, Julie gained financial industry experience as a broker with an investment research and management company. Consequently, she brings a unique perspective to structuring clients' business ventures and business and family succession matters, given her broad knowledge of estate, tax and income tax planning. Throughout her career, Julie has also worked with family offices and has assisted in designing and implementing inter-generational wealth planning and transitions. Presentation: "Using Trusts in Estate Planning and Asset Protection," National Business Institute Seminar, Chicago, Nov. 29 and 30, 2018.